Home » The Myth and Reality of Liposuction – How it Does Work to Remove Cellulite? Are you looking for a remedy to cellulite? Then you have reached the right place to get all your answers. With this post, we are solemnly determined to tell you nothing but the truth. There are a lot of speculations in regards to the myth and reality of liposuction – How it does work to remove cellulite. Today we will break all of the rules and will spill the beans to make it easier for you to understand how all this works. The reality of liposuction – How it does work to remove cellulite? It has been noted that about 90% of women suffer from cellulite and that they are prone to fall prey to it at some time or the other. This may be the most ruthless truth but you ladies need to pay attention to it. Another fact is cellulite is located under the skin and liposuction cannot reach this area. This means, a big no, liposuction cannot treat cellulite. Liposuction is a process that suctions body fat out of the body. It is one of the most recommended and opted ways to remove body fat that costs anything in between $1,500 – $7,500, but sadly enough is helpless when it comes to cellulite. If truth be told, then it has to be added that it may worsen your cellulite because skin gets loosened once fat is removed. Liposuction can shape, slim or sculpt the body but fails to reduce cellulite. However, there are remedies that if undergone along with liposuction can bring in good results. Now that you know about the myth and reality of liposuction – How it does work to remove cellulite so much and in details, isn’t it time to get busy? Busy with approaching a good aesthetic clinic that will help you further with your queries. In fact, reaching a clinic can clarify more for you as you will have trained staff offer you more solutions based on latest technology. 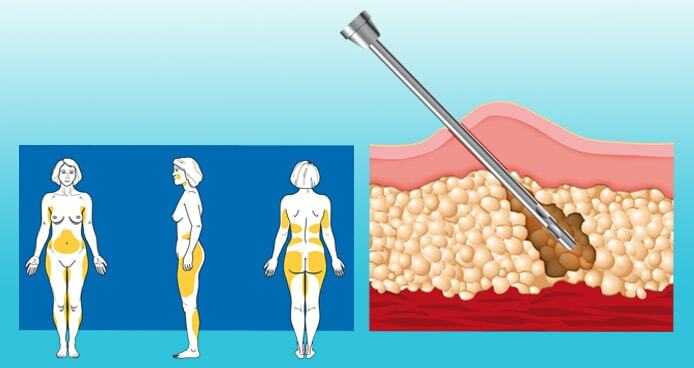 Yes, technology has made it possible to lose weight by non invasive procedures. So, cellulite is not that big a thing to be troubled with these days. Go and give yourself that much awaited makeover you have been dreaming of!